The Greater Los Angeles chapter of the Association of Legal Administrators (GLA ALA) featured Beveridge & Diamond in its Fall 2018 issue of Leadership Exchange focusing on sustainability. The article, titled "Law Firm Sustainability: Creating a Robust Sustainability Program," highlights 10 elements of highly effective law firm sustainability programs, especially taking a measured approach and systematically looking at firm functions and departments to learn where the biggest impacts can be made. B&D serves on the Leadership Council of the Law Firm Sustainability Network (LFSN), a non-profit founded in 2011 to develop key performance indicators, foster knowledge-sharing, develop best practice guidelines, and recognize innovation regarding environmental sustainability in law firms. Leadership Exchange notes B&D's Silver Certification after completing the LFSN's American Legal Industry Sustainability Standard assessment, which can be used as a benchmark for sustainability goals to help evaluate how sustainability programs can be improved or expanded. The article emphasizes the importance of a framework and governance to provide effective direction for implementing initiatives. 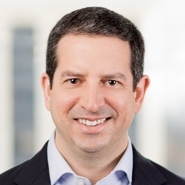 Principal Dan Krainin (New York), who serves as president of LFSN, chairs the firm's national Green Team and leads our sustainability initiatives. B&D has adopted a formal sustainability policy that guides internal operations and engagements with vendors, including purchasing and utilizing sustainable office supplies, paper containing 30-100% post-consumer recycled content for all standard printing and copying, and Energy Star-compliant computer equipment and appliances. The firm also participates in energy initiatives like the U.S. Environmental Protection Agency's Green Power Partnership, purchasing Renewable Energy Credits in an amount equivalent to 100% of our electricity usage across all of our offices nationwide, and a "lights-off" policy that helped contribute to a 10% reduction in electricity usage in our New York office. Sustainability is deeply ingrained in our firm's culture, as Leadership Exchange points out, from its inclusion in our onboarding process of new hires to its emphasis in firm activities like our annual Earth Day Photo Contest. We also participate in the Lawyers for a Sustainable Economy initiative, pledging to provide $500,000 worth of pro bono legal services by the end of 2020 in support of environmental sustainability. As one of the nation’s leading environmental law firms, we translate our values into action by taking a leadership role in sustainability for law office management. We work to improve the firm’s sustainability and reduce our environmental impacts in our offices across the country. To learn more about our sustainability efforts, visit our Sustainability page. Click here for the full Fall 2018 issue.